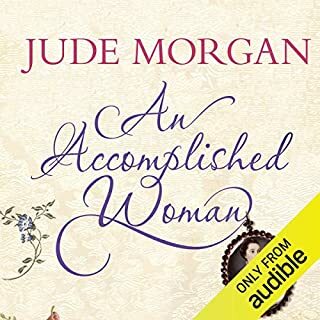 I confess, it took me several months to get past the first two chapters of 'An Accomplished Woman', which is odd as I usually devour audiobooks narrated by Phyllida Nash (who is always excellent). After a 4 month hiatus, I began listening to it again after christmas and after that i simply couldn't stop listening! It is a little slow to start off, but after awhile I found the main character, Lydia Templeton, to be utterly engaging, hilariously witty and very, very likeable. I haven't loved a Regency heroine this much since I first picked up 'Pride and Prejudice' 12 years ago. The few character plot twists presented in the second half of the audiobook were unexpected but left me with such a lovely feeling of satifaction that when the last word had been spoken I had to listen to the entire book all over again! 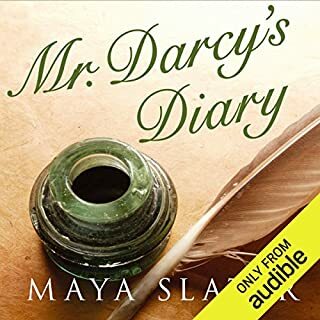 If you're a fan of Austen, Elizabeth Aston or Georgette Heyer - or indeed, of Phyllida Nash - you should absolutely spend a credit on this audiobook. I'm now looking to buy a printed copy of it!! It is 1718 and, in a small parish near Newcastle, Eliza Tally, a headstrong girl of 16, embarks on a reckless love affair that will prove her undoing. When her lover casts her off, denying their union, she is forced to travel to London, a city that attracts and alarms her in equal measure. There, she takes up a position in the house of an apothecary, Grayson Black, whom she trusts to salvage what remains of her reputation. I very much enjoyed this audiobook. The story isn't fast paced, but it is convincing. 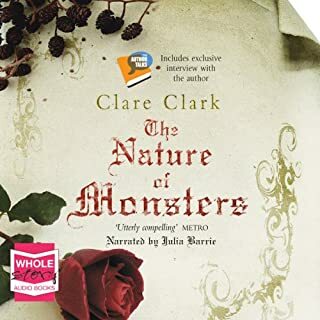 'The Nature of Monsters' is part historical novel, part phychological thriller, and does feature a few sexually explicit scenes early on which may put off some listeners. It also centres around the old wives tales that suggest that an unborn child can mutate based upon the mother's visual experiences. This book could have just as easily have been called 'The Nature of Humans' for it's foray into the psychological states of the characters within it. It is certainly worth listening to. 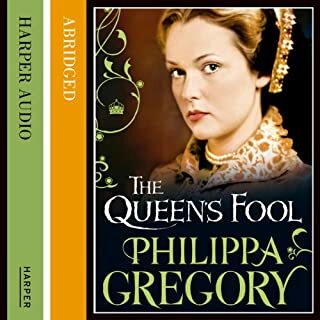 In this story, a young Jewish girl, Hannah Green has escaped Catholic Spain with her father to England where she becomes Fool to Queen Mary I (AKA Bloody Mary - King Henry VIII's eldest child). The story details the protagonist's teenage years and uses her as a devise to examine the plots, scandals and politics of the English Court at the time. It is an interesting account of Queen Mary herself, who is portrayed in a few more sympathetic manner than in many other accounts of her. This is due to the close friendship that grows between Queen and Fool (in a similar way that Henry VIII has a friendship with his own Fool). The future Queen Elizabeth I is another major character in the story, but is more conniving, petulent, and arrogant than other accounts of her. In all, she is rather an unlikable character, but as in history, plays her own role in swaying Queen Mary's actions. This is in no way a true-to-life account of the Tudor court post-Henry, though the author has drawn hevaily from the history. Hannah Green is a fictional characted created as a plot device, and is effective in her role. I enjoyed the author's interpretation of The Queen, particularly as Gregory seems to have, I think, really gotten to the crux of who Mary was and how she became that way. This was a very enjoyable audiobook and I highly recommend it. Emilia Fox is a superb narrator - she's one of my favourites! 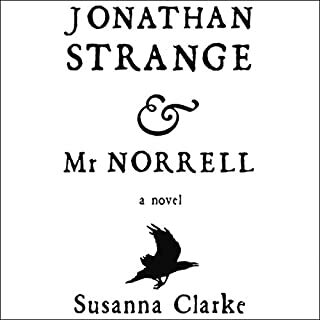 I loved this book when I read it a few years ago, and I was a little aprehensive about the abridged version, given that the full story is so wonderful and dense. This audio version is well worth the download.. It flowed seamlessly and I did not once get the sensation that I was listening to only half the story. One of the authors has a bit of a funny tone to his voice, but the primary narrator is engaging and easy to listen to. I would recommend this to anyone who enjoys -real- vampire stories, where the creatures are terrifying and intelligent (unlike more contemporary interpretations of Vampires being pretty, shiny, go to high school and are no more frightening than a pair of bunny slippers). Vampire stories that cause your gut to clench in fright. 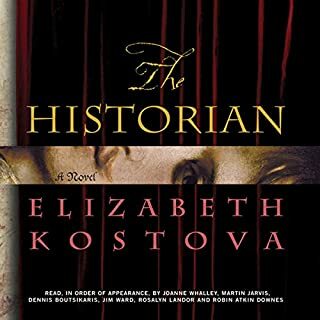 For those who like their stories with a little history thrown in, Kostova has brought the legend of Vlad Tepes (AKA Vlad Dracul or Dracula) into a relatively modern setting, with the story's protagonists being hunted by Vlad Tepes' sinister inhuman agents as they move throughout Europe in their hunt to find, and destroy Tepes once and for all.